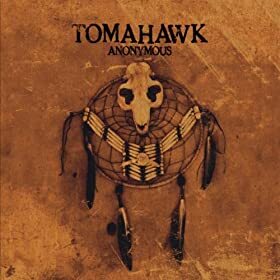 Heavy metal/avante garde figure Mike Patton leads this metal band into performing a bunch of traditional Native American songs, of course with that strange avante garde/metal twist you’d expect from Patton. The result is something that doesn’t sound like normal metal nor traditional Native American music. Not all the music is heavy (for instance “Cradle Song”, “Mescal Rite Pt. 2”, “Long Long Weary Day”), but it is always dark. I could see possible uses for this album (I have used it in the past myself). It could be great for a Native American character who identifies with his roots in a modern or future game, since there is that modern sound to it. Also you might just give a couple of the tracks a try in a less modern setting, the heavier songs could be used for battle which makes distorted guitar easier to overlook. The quieter tracks aren’t explicitly modern. I personally love “Crow Song”, “Totem”, “Omaha Dance”, “Sun Dance”, and “Ghost Dance”!